Lime Kiln Farm feels like a little piece of the Italian countryside tucked into the Hudson Valley. The owners had been making cheese and pressing olive oil in Tuscany since 1991 and recently relocated to quiet Catskills town of West Coxsackie, drawn to its climate, topography, and proximity to New York City. 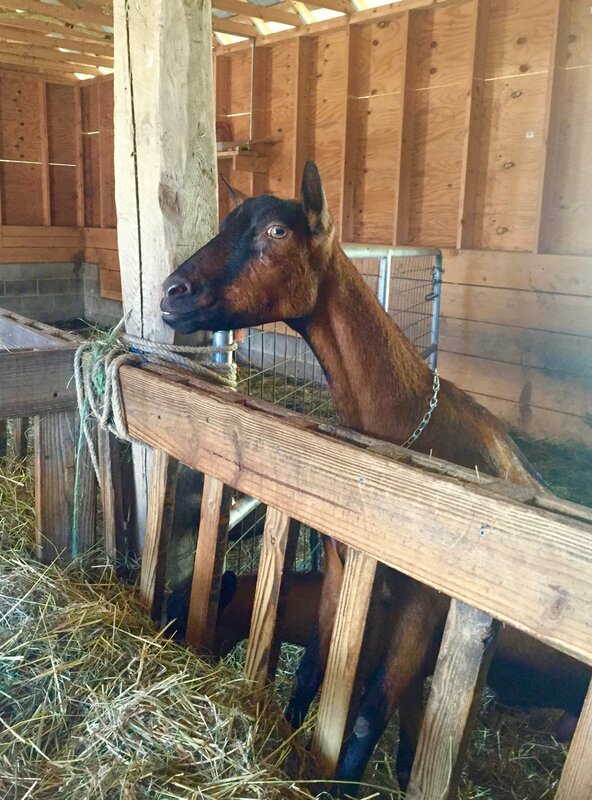 The rich handmade cheeses, including the bloomy Hudson Brie, the salty-sour, Feta-like Primo Sale, and the Caciotta, a hard table cheese that captures the essence of fresh mountain air, are reason enough to pay Lime Kiln Farm a visit. Call ahead to plan a tasting with the charming cheesemakers, Alessandro Voglino and Brent Zimmerman, as you explore their incredibly idyllic farm. 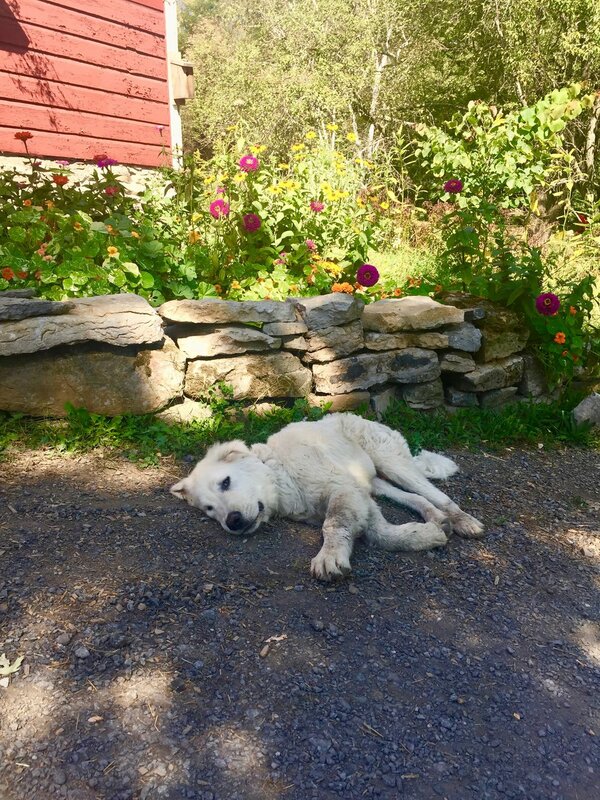 We dropped by without warning on a sun-drenched summer day and were greeted by bright, bobbing zinnias and a sleepy white-furred Italian sheepdog, who immediately perked up at the sight of my son, Archer. (Because he's a 7-year-old boy. Dogs love those.) The dog's tag read "Teo," and he seemed to be running the place. Two pairs of white Crocs left outside the door implied that humans had been here, and that Archer was wearing the right footwear for the occasion. Running a farm involves a lot of running around. A recent email from Brent included the line, "I'm milking and making cheese before running off to get sheep poo analyzed and sell a goat at auction… the fun never stops." I love these guys. We didn't call to arrange our visit, but Teo the Dog dutifully led us to a barn, busy with cheerful goats. The one pictured below looked slightly animatronic, like a character out of a Babe movie. If she were to open her mouth and say in perfect Italian, "Ciao, benvenuto a Lime Kiln Farm," none of us would've been the least bit surprised. 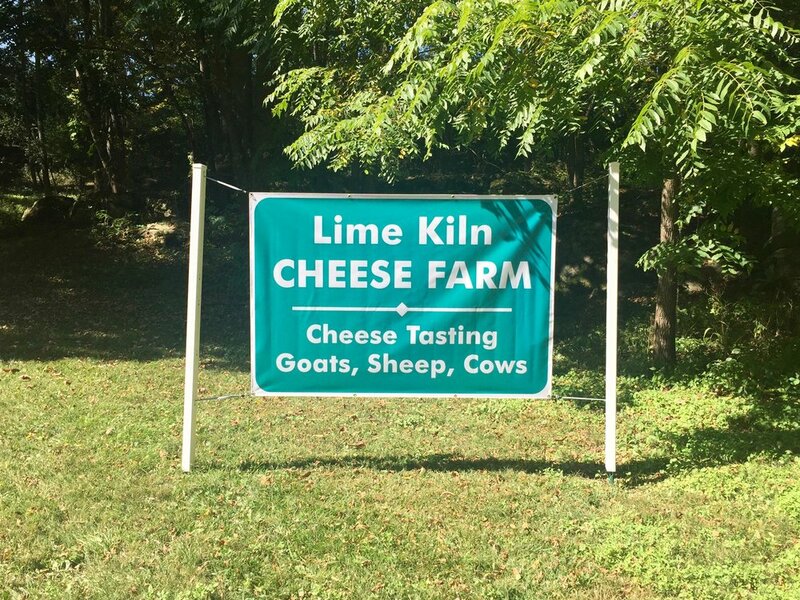 At present, Lime Kiln Farm cheese is available at many area farmer's markets, including Coxsackie, Hillsdale-Copake, Catskill and Irvington. Their products are also sold at the Catskill Country Store in Catskill and at Black Horse Farm in Athens. 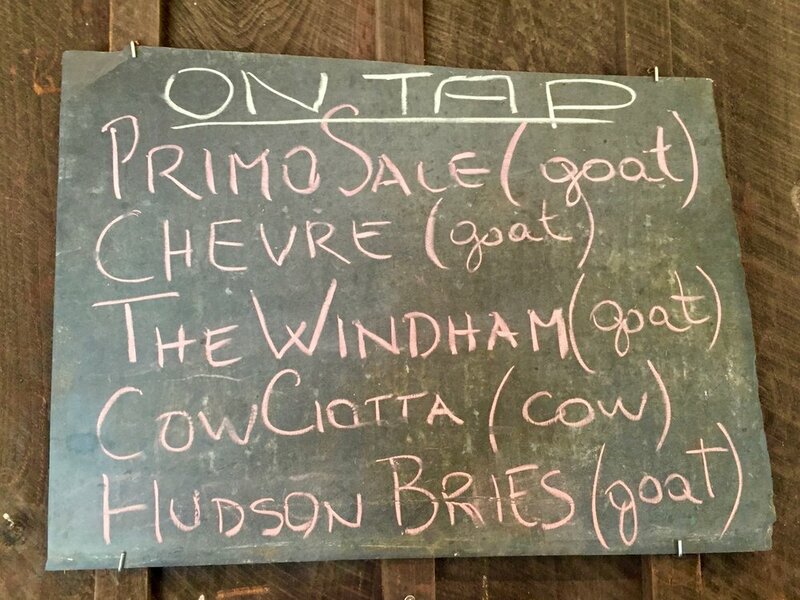 When Brent returned from his cheese deliveries, he invited us into the farm store for a tasting. There's something really special about tasting a cheese made from the milk of the goats you just met, cultured by the farmer who is serving it to you. It's an amazing experience, especially for city people like us, because when you're at Lime Kiln Farm, you cannot help to but feel completely present in the moment and deeply appreciative of the world around you and the food you're eating together. It helps that the old-world Italian-style cheese is off-the-charts delicious, and tasting all the varieties in a row offers a sense of the complexity that each individual cheese brings to the table. Above, a wedge of the creamy caciotta, about to be savored in my Brooklyn backyard. It's also available packed in olive oil, pictured below, which makes an amazing base for a salad dressing or can be drizzled over pasta once you've enjoyed the cheese. We're burying the lede a little bit here, but Teo the Dog became a father this spring. These fluffy, beautiful dogs are called Maremmas, and they protect the livestock at Lime Kiln Farm. You can contact the farm if you're interested in taking one home, but keep in mind that they require space and independence, so they're not ideal for city folks like us. If there's a new batch every spring, you can look forward to many gratuitous puppy posts in Brooklyn DoubleWide's future. Below, you can see Brent with 3 of Teo and Pippa's 8 puppies. Lime Kiln Farm is located at 1512, 523 Lime Kiln Rd, West Coxsackie, NY. Since the farmers are often busy in the field, it's always worth calling or texting (518) 350-9494 before you stop by. Typical hours are 9am-1pm and 4pm-7pm on Friday, Saturday, and Sunday; or Monday through Thursday by appointment. May 30 Maremma Sheepdog Puppies: Cuteness Overload!